If you’re in the mood for a dish that’s equal parts comforting and flavorful, Southern Bistro’s berkshire ham & collard green egg rolls are right up your alley. 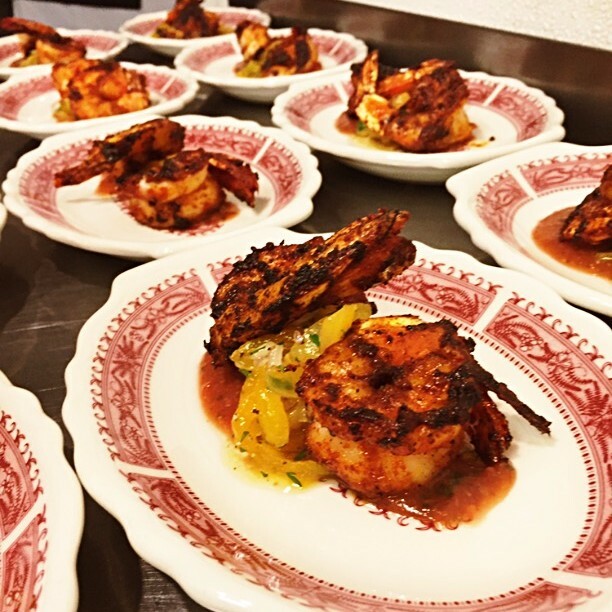 This Sandy Springs restaurant has now become a staple ever since Chef Ron Eyester stepped in the kitchen. Read his egg roll recipe and learn how “The Angry Chef” got his notorious nickname. 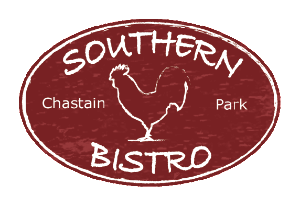 Click here to learn more about this Top Chef contestant and his menu at Southern Bistro! Chef Nick Leahy of Saltyard (far left), Meals on Wheels staff, Lauren Carey and farmer Michael Hendricks peruse the leftover produce at the end of market to buy for Meals on Wheels seniors. Currently, one in six Atlanta seniors struggles with hunger. Through this young partnership, over 5,000 lbs fresh, locally grown produce have been supplied to Atlanta seniors. Each week Peachtree Road Farmers Market purchases around 150 lbs of unsold produce from their market vendors and sells to MOWA at a highly discounted rate. The program is the brainchild of Saltyard's Nick Leahy who is an advisory member of both MOWA and the Peachtree Road Farmers Market. Creative Loafing ran a piece about the program in October, but it still needs support to fulfill its potential! The market reopens April 1, 2017 and you can find out more about the market here. Ask your waiter to pair wines for your special menu! ALPHARETTA, GEORGIA (February 6, 2017) – With so many tasty restaurants participating, there is something to please everyone’s inner foodie during Alpharetta Restaurant Week. This weeklong celebration of Alpharetta’s restaurant scene will take place February 19-25, 2017. Whether you are craving one of your favorite restaurants or are in the mood to try something new, there is a restaurant offering the perfect cuisine to make your taste buds jump for joy. Participating restaurants currently include: Alpine Bakery, Benihana, Butcher & Brew, Cabernet, MADE Kitchen and Cocktails, Mittie’s Café on Main, PURE Taqueria, Sage Woodfire Grill, Salt Factory, South Main Kitchen, Spice Brick Oven Kitchen and Vinny's on Windward. For an updated list of participating restaurants, visit www.awesomealpharetta.com. Restaurants have a variety of options on prix fixe menus for lunch and dinner. Most menu prices are $15 for lunch and $25 for dinner. (These prices do not include tax, beverage or gratuity). Reservations at restaurants are recommended if possible. Browse the menus, pricing and a complete list of participating restaurants on the Alpharetta Restaurant Week page at www.awesomealpharetta.com. 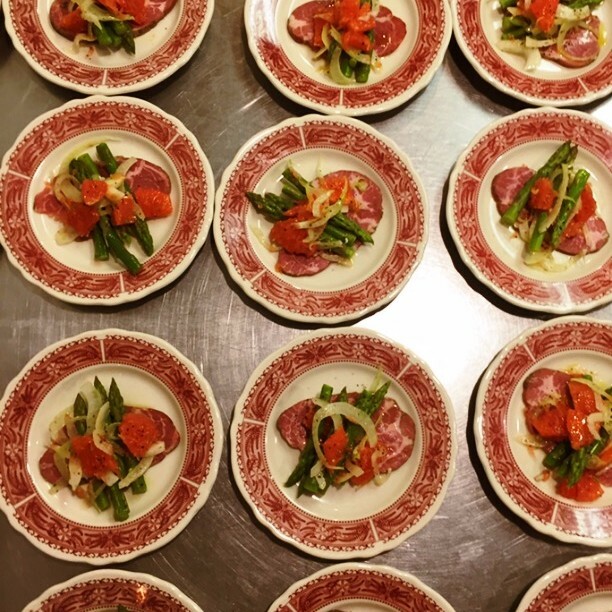 With limitless dining options, exciting food events and authentic culinary experiences, Alpharetta has gained the reputation as the foodie destination of the Southeast. Whether it is learning how to create a mouthwatering dish at one of the three cooking schools, picking up fresh produce at the local Farmers Market, choosing to dine at many of Alpharetta’s numerous dining options, or checking out events like the Taste of Alpharetta and Food Truck Alley, epicureans around the U.S. have started putting Alpharetta at the top of their lists of places to visit. For more information on where to shop, dine, sleep and play visit www.awesomealpharetta.com. For questions about Alpharetta Restaurant Week, please contact Flavors Magazine at 770-698-9292 or atinfo@flavorsmagazine.com. at Southern Bistro on February 22! 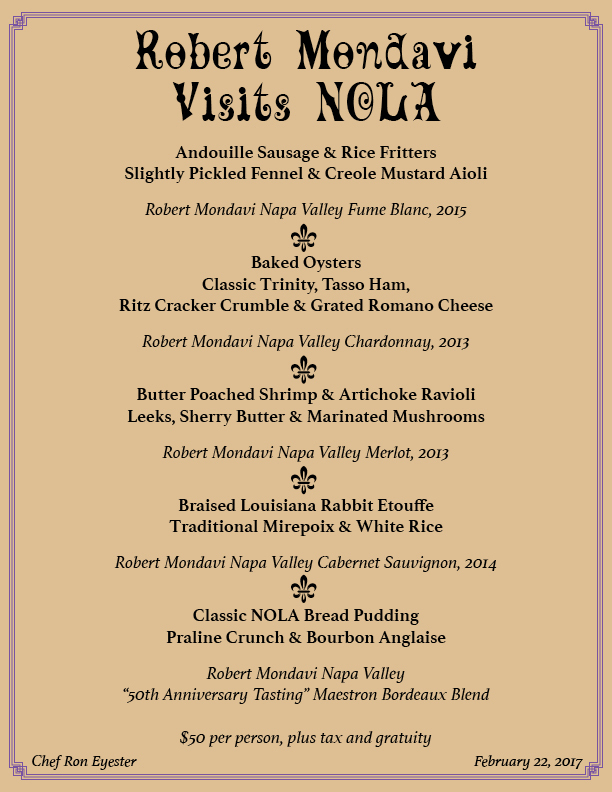 This months wine dinner will feature Robert Mondavi wines paired with NOLA inspired dishes from Chef Ron Eyester. 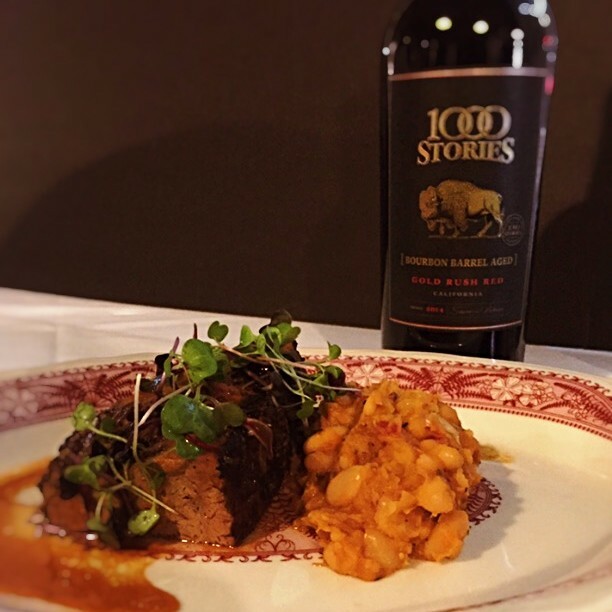 With a variety on wines including new releases, top tier ratings and a 50th anniversary wine, these tastes will compliment traditional Louisiana dishes. 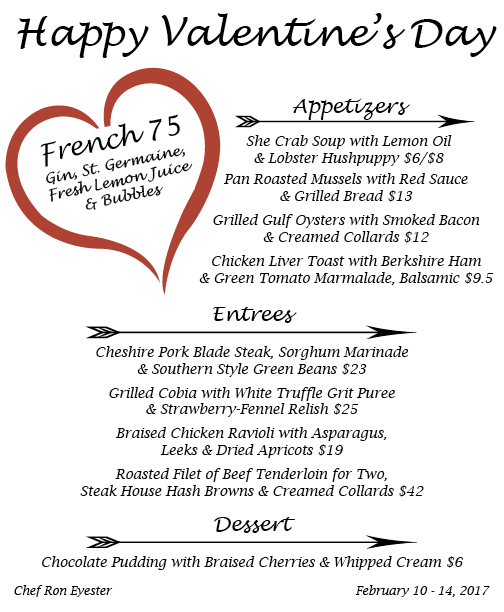 For only $50 (plus tax & gratuity) you will receive 5 dishes with pairings. Copyright © *2017 Southern Bistro, All rights reserved.